Photo Details: The yellow and brown of the Kashmir granite counter tops in this kitchen beautifully highlights the brown cabinets in this kitchen. 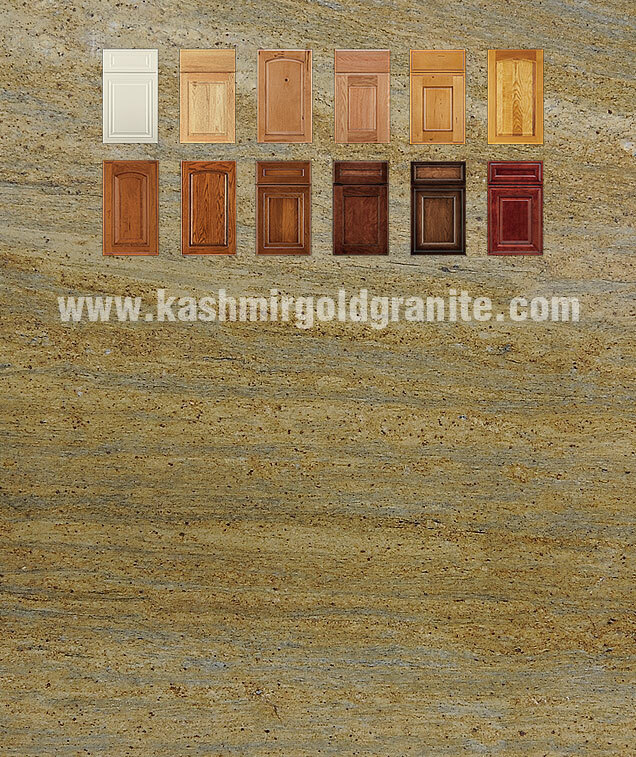 The yellow and gold of the Kashmir granite continues to the floor of the kitchen where the clean lines of the floor tile brighten this space. 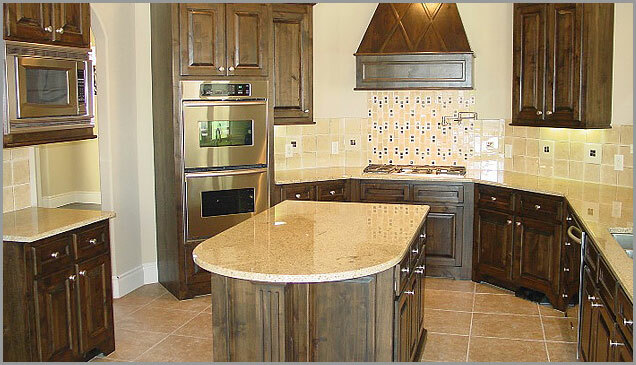 Golden yellow granite maintains the beauty of this room as the Kashmir granite combines with the brown cabinetry and stainless steel appliances merge together for one classic kitchen.